A small group of eight volunteers rescued dogs from a puppy mill auction held Nov. 22 after managing to raise $200,000 in 11 days for the cause. A dog breeder in Lineville, Alabama, sent 96 Cavaliers to a puppy mill dispersal auction held last Saturday in Wheaton, Missouri. Through her own investigation, she learned of the Lineville kennel, and made it her mission to re-home the dogs kept there. When she learned of the November auction, Ingram assembled a team of volunteers to ensure that every dog would go to one of five animal rescue groups. "I felt a huge responsibility had been entrusted on me and made a firm commitment with Crys Carnes to ensure that the stated mission would be adhered to no matter the cost - 'no Cav left behind.' Once we found out there were other breeds at the auction, the mission became 'no dog left behind.'". By the end of the auction, all but two dogs had been rescued. In keeping with her promise of "No dog left behind," Ingram purchased the last two dogs back from the breeders who bid for them. 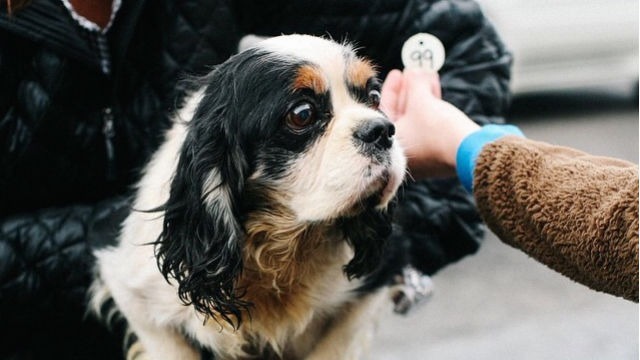 Forty-six Cavaliers are under the care of CKCSCR, and the remaining 62 dogs are dispersed among the four remaining rescue groups.